Share "Renting Skid Steers For Snow Removal "
Winter is no longer coming; it’s here! Removing snow is a seasonal task we must all go through at some point during the season. Whether you’re shoveling your driveway or clearing the windshield of your car snow removal requires time and effort. 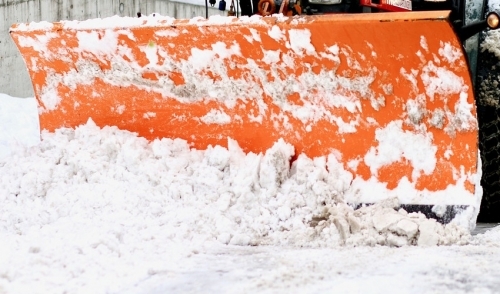 For those independent contractors, businesses, and DIYers that have more than the average amount of snow to remove, it’s time to address the issue at hand with a little extra help from a skid steer. Skid steers are small, powerful machines with lift arms that can be utilized with a variety of attachments or labor saving tools. Basically, they are God’s gift to man. Skid steers are great primarily because they are able to change with the seasons. Think of it as a one size fits all sort of tool that can help remove snow faster. I first encountered one and how useful it was back in College. Where I went to school, the snow fell in October and didn’t leave until April. That’s a lot of snow to plow, but the buildings and grounds crew were able to clear pathways and parking lots every morning without breaking a sweat because the skid steer did all the work. If you’re a contractor or DIYer, rent a skid steer with winter-application attachments to make snow removal easier for you. This one tool will save you money, improve your productivity, and keep your business versatile. By renting a skid steer for snow removal, you are able to grant yourself access to a variety of snow removal attachments that best meet your needs. Some attachments you can rent include box plows, brooms, and snow throwers. Depending on the task at hand, some attachments are better suited than others. For example, if you’re looking to clear a walkway that’s covered in fresh snow under a couple inches, a broom attachment can push all of it away like sweeping dust under the rug. If a blizzard just blew through the town and there’s a couple of feet on the ground, then the box plow would be a better-suited option to use. Talk to your local rental dealer about what kinds of skid steers are available and which attachment will work best for you. 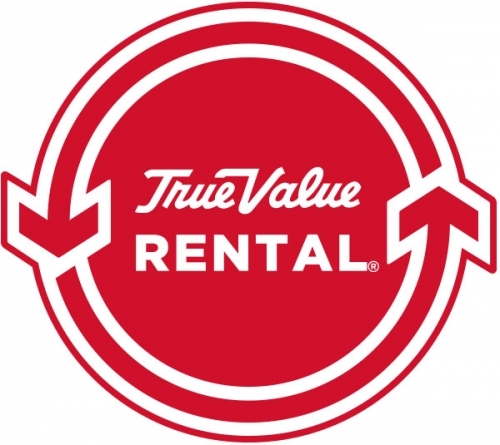 Since you’re likely to use it more than once, don’t hesitate to inquire about seasonal rental rates and options. Some rental dealers have the stock and availability to offer this to their clients as they recognize the demand and it’s better to have a steady flow of business than none at all. This also makes it easier for you as the user as you don’t have to pick-up and return a large piece of machinery more than once. Some dealers can also help you set up a corporate account if you’re a contractor so that you can better manage your business and take on more jobs. When renting a skid steer for snow removal or any other task, everyone wins. Make sure to always practice proper safety and provide proper maintenance by giving å the skid steer the proper fuel, fluids, and tires. Don’t just let this article tell how you to do it. Get out there and rent a skid steer for yourself to start removing snow today.